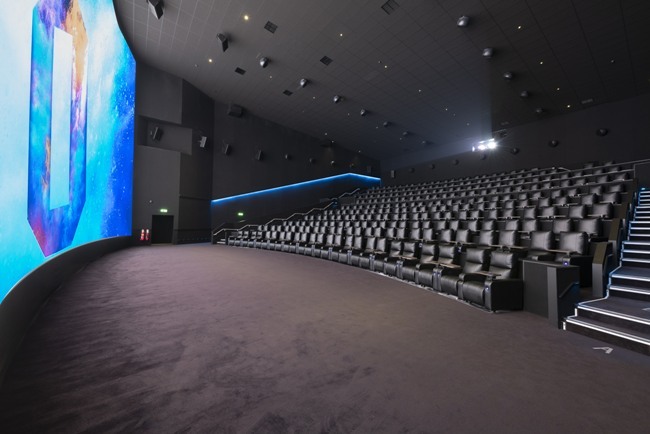 Leeds film fans can now enjoy the very best in cinema technology and luxury following the grand opening of the highly-anticipated ODEON Luxe Leeds Thorpe Park cinema. The new cinema has officially opened its doors for business following a glittering gala evening, attended by hundreds of local dignitaries, media and business owners. ODEON and Dolby have partnered to bring film fans in and around the city the ultimate cinema experience with ther brand new Dolby Cinema which combines dramatic imaging that delivers a spectacular, leading-edge visual experience through the Dolby Vision dual 4K laser projection system that brings the story alive with spectacular, ultravivid picture. It delivers twice the brightness, 500 times the contrast ratio, blacker blacks, and an unsurpassed colour palette, all in comparison to standard screens, all projected on a massive 19m screen for a vibrant, lifelike cinema experience like no other. Julian Stanford, senior director Dolby Cinema Europe, said: “It’s exciting to see the growth of Dolby Cinema in the UK with a second ODEON offering our technology to revolutionise cinematic experiences.